Wednesday marks one year since a shooting at Marshall County High School in Kentucky killed two 15-year-old students. 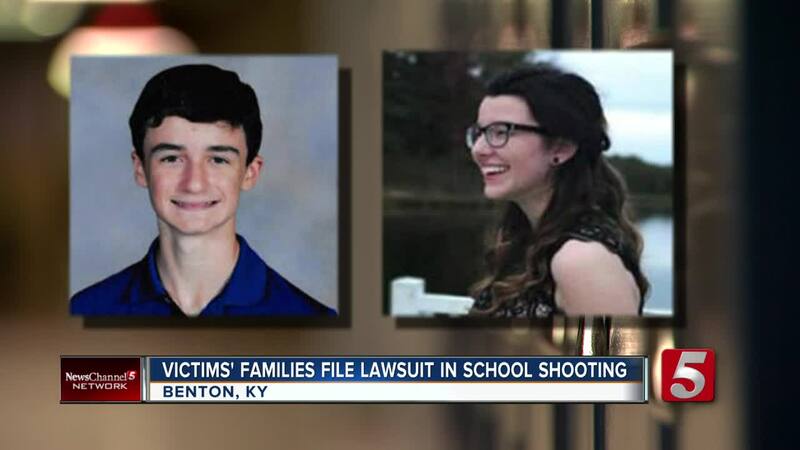 NASHVILLE, Tenn. (WTVF) — Wednesday marks one year since a shooting at Marshall County High School in Kentucky killed two 15-year-old students. The day began normal as students filed in ahead of their first classes of the day, when at 7:57 a.m. a 15-year-old student walked in and started firing. Several students were shot, but Preston Cope and Bailey Holt died of their injuries. It's still difficult for loved ones of those victims, including Bailey's aunt. "I remember hugging her," said Tracy Tubbs. "The hug lasted a little longer and she was so easy to hug sometimes. This sounds crazy but I'll just hug myself and act like reenacting that hug because it was so good and so long and I just wish I can hug her one more time." Tubbs describes Bailey as a child with big dreams, but an old soul. She wanted to be a labor and delivery nurse. In the aftermath of the shooting, the community came together using the phrase "Marshall Strong." They made t-shirts and signs to show solidarity in a tough time. "We do the wreaths that says Marshall Strong," said Michelle Thompson, a Benton resident. "It's about community, it's about gathering together and taking care of one another."